Tiffany Jeans exudes a natural radiance. Strong and sculptural, she has a rare magnetism you only come across once in a while. When we meet, she is surrounded by exquisite glass perfume bottles in various jewel tones. Her rich, heady scents displayed amid a fountain of flowers in her close friend and fellow New Zealander, Jessica McCormack’s elegant jewellery store in Mayfair’s Carlos Place. Auckland-based Jeans is in London to launch Curionoir, the niche perfume brand she established in 2011, after a career as a successful stylist. “I was was travelling the world, working for big brands and thinking there must be more to life,” she says. The idea was born when she created personalised skull candles wrapped in tulle as a gift for her wedding guests (she married film director Andrew Morton in 2009). “I started studying fragrance while my kids slept.” (She has three children, Lilith, 16, Carmelo, 10, and Dita, five). Jeans desire to slow down and create something meaningful, resulted in the birth of her first fragrance, Dark Bouquet, a heady mix of orange flower, jasmine and vetiver. Like all her subsequent scents, it makes you sit up and take note. 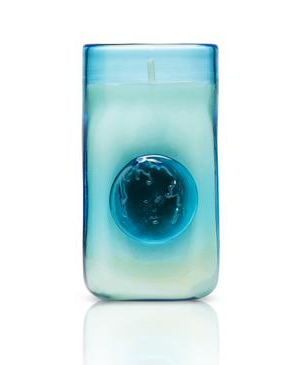 Jeans now has seven scents and even more covetable scented candles, which arrive in covetable glass jars. Every one of her head-turning scents is a deeply personal creation inspired by her Maori roots growing up on New Zealand’s north island surrounded by family. Her grandmother, mother and aunts were all skilled craftswomen and her uncle, a bone carver, had a huge impact. Cella Fields, for example, is a sweet and heady concoction that instantly makes you smile. Featuring apple, nutmeg, grapes leaves and tree moss, it’s inspired by the pleasant musty smells of the cellar on a family wine-producing farm. There’s a mystery and depth about Jeans fragrances that is totally captivating. Purotu Rose, in particular. It’s a dark, musky rose with bitter orange, teak and vetiver, inspired by the funeral of her grandfather. Despite the possibly sombre connotations, it has has become one of her best-sellers, loved equally by men and women. Time, care and emotion are the basis for all Jeans creations. Some of the scents, like Opia, with its complex mix of rhubarb, Cambodian aud, cedar wood and Australian sandalwood, take years to perfect. “There’s so much craft involved in fragrance and it should be encased in something special,” she says. In a world of synthetic celebrity scents and powerhouse perfumes, Jeans’ thoughtful, evocative scents stand out. Curionoir is available at The Conran Shop, Michelin House, 81 Fulham Road, London, SW3 6RD, Conran shops nationwide. Rosie Green started in Elle’s beauty cupboard in the '90’s. She has been beauty director there, at Red magazine and now at Woman & Home. She is also a spa columnist for The Telegraph and works for some of the biggest beauty brands on their content. She writes hilariously about midult life, first in her Life’s Rosie column for Red and now on her soon to be launched website (sign up at www.lifesrosie.co.uk). There’s a book in the pipeline too. Here she selects the five beauty products she can't go on holiday without. Enjoy! 1. Elemis Daily Defence Shield, £46. It is essential, ESSENTIAL that you find an SPF that feels and looks nice on your skin. That way you’ll use it everyday. And in the process ward off wrinkles and sunspots. Your face will thank you for it. 2. Slip Pure Silk Sleep Mask, £45. Beauty sleep is real. And holiday is the place your going to get it. Take this luxe feeling (and looking) mask with you and you are guaranteed a lie in. 3. Trinny London Just A Touch foundation/concealer, £28. Comes in a no spill pot you can sling in your beach bag. The genius formula subtly conceals redness, bites, eyebags. 4. Sarah Chapman Liquid Facial D-stress, £42. This spray cools any sticky situation, smells delicious and is loaded with moisture magnets and skin soothing actives. 5. Lumigan at Medicetics, four weeks supply from £95. This prescription only product makes lashes grow seriously long and lush, so you can skip mascara and look pretty barefaced.